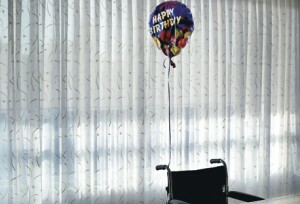 To read the entire piece, visit: http://www.newyorker.com/reporting/2010/08/02/100802fa_fact_gawande or download the PDF: Letting Go: What should medicine do when it can’t save your life? A surgeon and a writer, Atul Gawande is a staff member of Brigham and Women’s Hospital, the Dana Farber Cancer Institute, and the New Yorker magazine. He received his B.A.S. from Stanford University, M.A. (in politics, philosophy, and economics) from Oxford University, M.D. from Harvard Medical School, and M.P.H. from the Harvard School of Public Health. He served as a senior health policy advisor in the Clinton presidential campaign and White House from 1992 to 1993. Since 1998, he has been a staff writer for the New Yorker magazine. In 2003, he completed his surgical residency at Brigham and Women’s Hospital, Boston, and joined the faculty as a general and endocrine surgeon. He is also Associate Professor of Surgery at Harvard Medical School and Associate Professor in the Department of Health Policy and Management at the Harvard School of Public Health. He has published research studies in areas ranging from surgical technique, to US military care for the wounded, to error and performance in medicine. He is the director of the World Health Organization’s Global Challenge for Safer Surgical Care.